Tired of cleaning? Well, from now on you needn’t be. Why spend your valuable time cleaning your carpet in Tower Hamlets E2 when our team of experts are readily available to provide you with the most thorough and high-quality steam cleaning services in the area. Magic Carpet Cleaning provides a wide range of carpet cleaning services at unbeatable prices. We can offer flexible booking slots as well as absolutely free price quote. 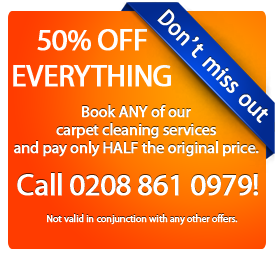 Dial 020 8861 0979 and you can get your domestic carpet cleaned by one of the best professional crew in Tower Hamlets even on the same day. Our team of Tower Hamlets E2 carpet cleaners consists of fully trained, certified and highly professional technicians. Our friendly and polite carpet cleaners are available all seven days a week to visit your home or office and provide you with the top-quality services. 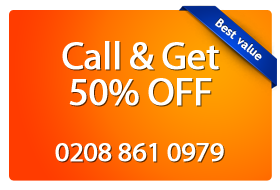 For more information about our services and our latest deals please call us at 020 8861 0979 or user our booking form below! If you’re not sure which service best suits you, our experienced Tower Hamlets carpet cleaning team will be happy to advise you on the best option. Our customer support representatives are available 24/7 to answer all your questions and help with making an arrangement with our local carpet cleaning team. Don’t hesitate to call Magic Carpet Cleaning when you want your home carpet or rugs to be cleaned by the best professionals in your area!